I was slow to warm to this, but I soon found myself thoroughly attached to Manju and his battle to come to terms with what he really wanted from life. Manju, at 14, is a cricket star in the making. That, in cricket-mad Mumbai, is a very big deal. The obvious talents of Manju and his older brother Radha, pushed and honed by their obsessed father, bring the real possibility of a rise out of poverty. If only the boys stay strong. First they come to the notice of famed talent scout Tommy Sir, and then comes a sponsorship deal from Anand Mehta. But they aren’t the only ones on the radar, there’s also their fierce – and wealthy – rival Javed. But talent and motivation don’t always come together. Manju might bat like a demon, but he’s more interested in science and CSI and is keen to see a cadaver up close. As he grows up, his rivalry with Javed becomes something else – something necessary but confusing – until there’s no room for both cricket and Javed in his world. 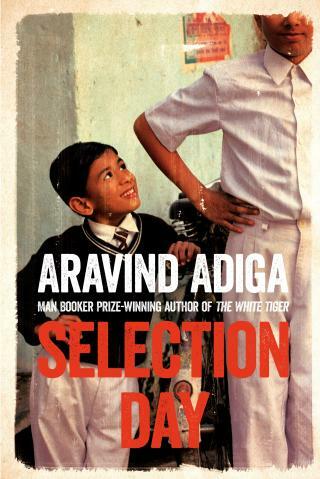 Adiga, who won the Booker Prize in 2008 for The White Tiger, is a lively and powerful writer. The dialogue and action are almost frenetic at times but there’s still room for lyrical prose; we get to know Manju and Anand and their personal conflicts, while getting a vivid view of the politics and pressures, the poverty and class issues, of life in Mumbai.